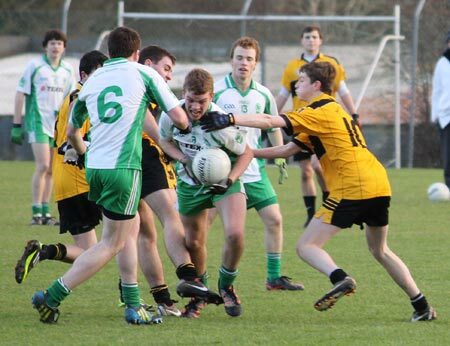 Three months after their drawn game, Aodh Ruadh minors booked their place in the county league final with a 1-13 to 2-7 replay victory over Saint Eunan's in Convoy. 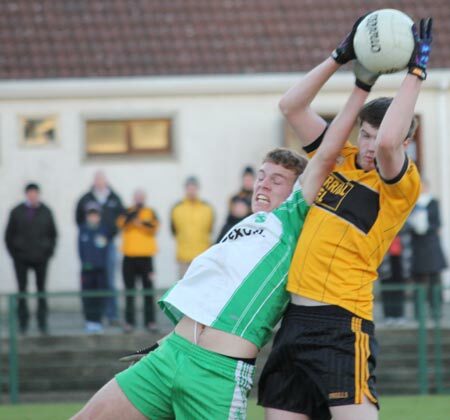 It was a display of real guts and commitment from the Ernesiders against a talented Letterkenny outfit, a number of whom had booked their place in the county under 21 final the day previous. 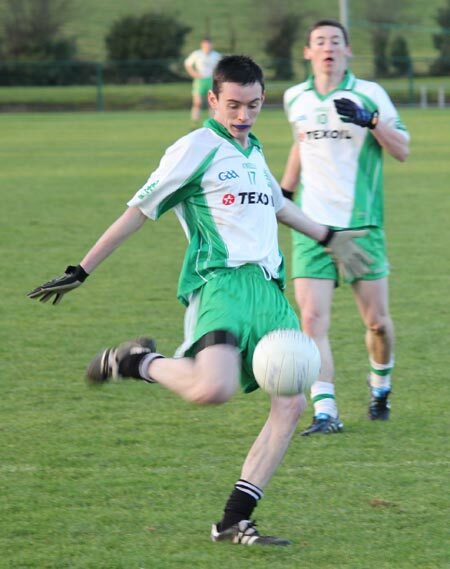 Ballyshannon got the dream start when David McGurrin showed his football smarts to deliver a 13 metre free from an acute angle into the chest of the unmarked and onrushing Michael McNeely who duly slammed it to the back of the Eunan's net. 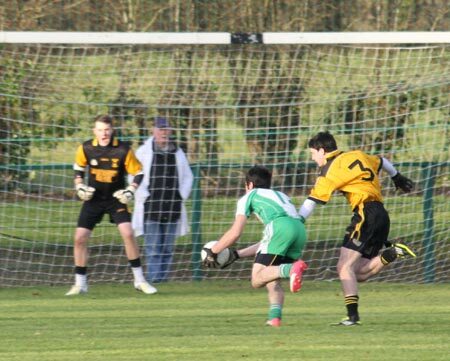 Letterkenny weren't long fashioning a response though and went straight up the field for a goal of their own. 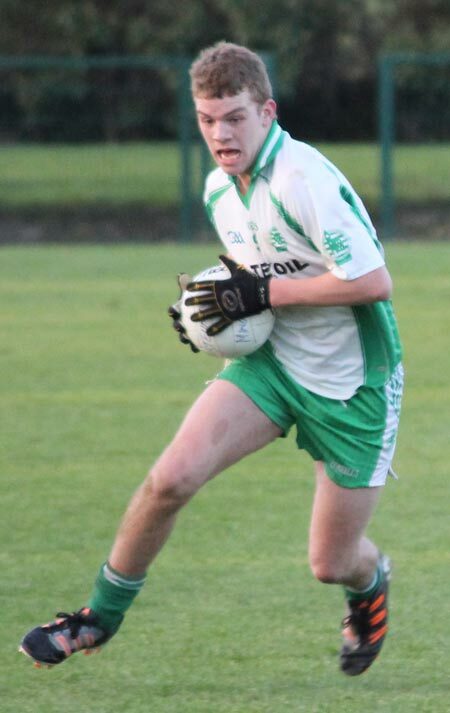 After ten minutes Aodh Ruadh were trailing by 1-0 to 1-2 and things took a turn for the worse when Jamie McDonald, who had the beating of his man on every occasion up to that point, saw the line with a red card. 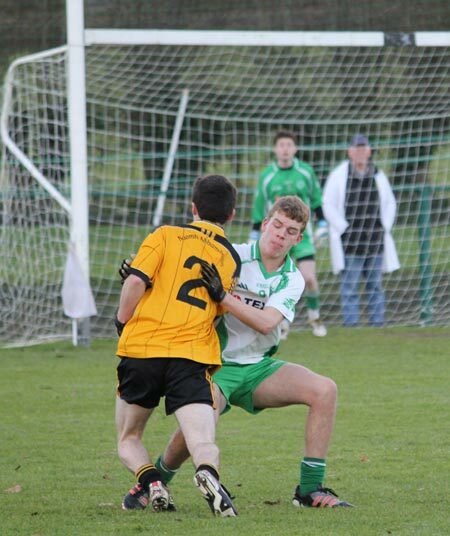 Forced to play the remaining three quarters of the game with 14 men Aodh Ruadh rose to the challenge in some style. 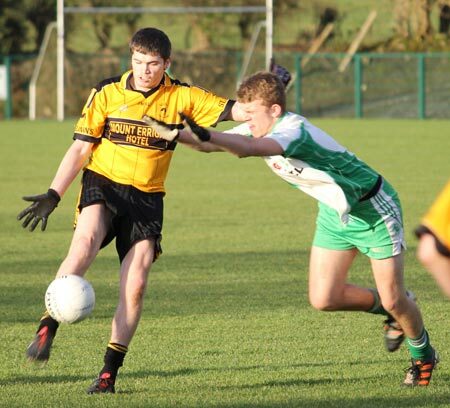 They had the better of the second quarter to send Ballyshannon in at the break with a slim half time lead of 1-5 to 1-4. 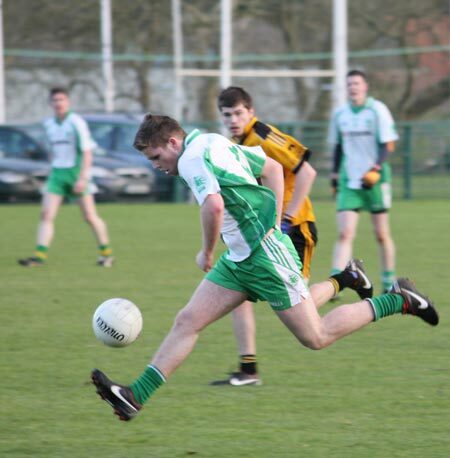 Aodh Ruadh continued to dominate in the second half with Darren Gethins and Niall Harley having the better of things around the centre of the park. 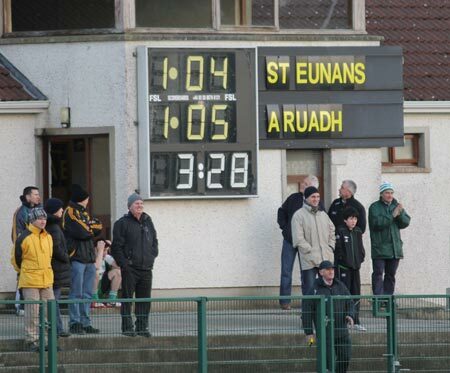 When Saint Eunan's did get their second goal in the second half to narrow the gap back to a point, Aodh Ruadh rallied immediately with two quick fire points. 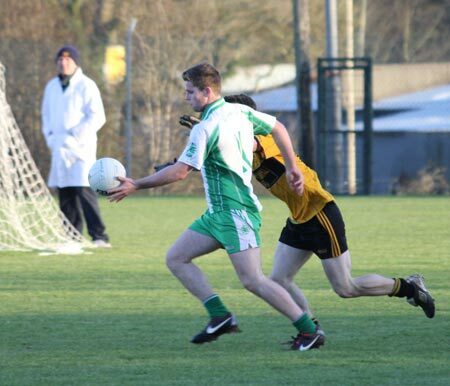 The final blow to the Letterkenny outfit's hopes came when they had a man sent off with ten minutes remaining and Aodh Ruadh saw the game out for a impressive victory and a passage into the county league final. 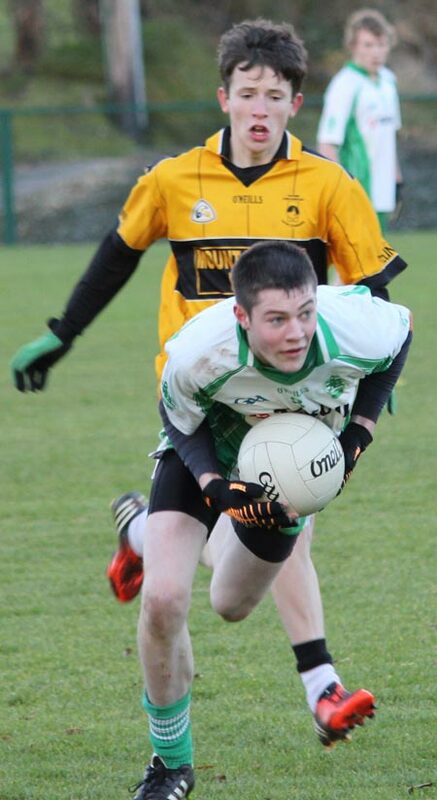 It was a win built from the back with Thomas Anderson, Colm Kelly and Ryan Patton outstanding in the full back department. 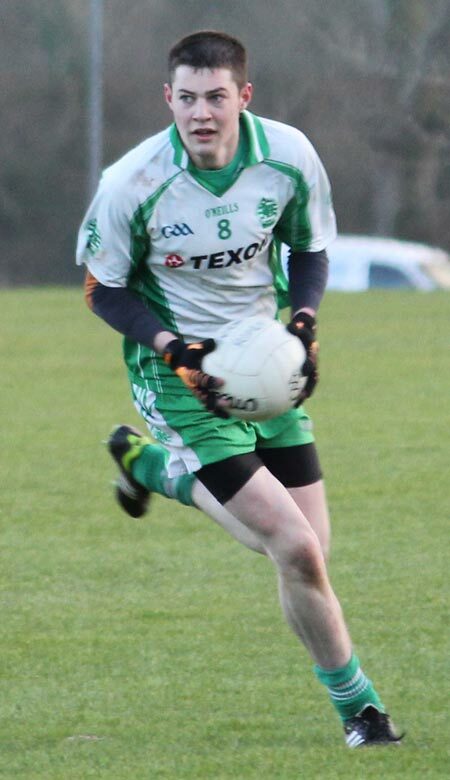 The half back line showed great aggression in bringing the game to Saint Eunan's with PJ Gillespie in particular having a thoroughly excellent 60 minutes alongside Kieran Keown and Eamonn McGrath. 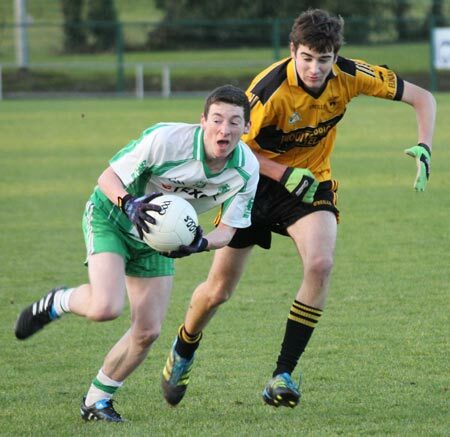 Up front David McGurrin clipped over five points, four from frees and his partnership with James Kelly against three opponents in the last quarter broke Saint Eunan's hearts. 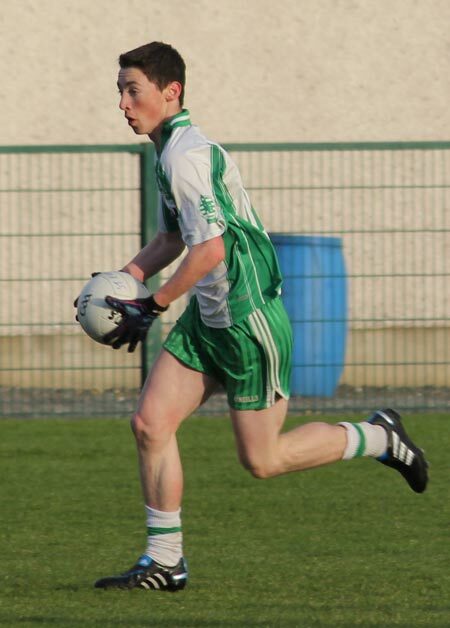 Michael McNeely shone at various points in the game with his opening goal and then his quick-fire three successive points in the second half. 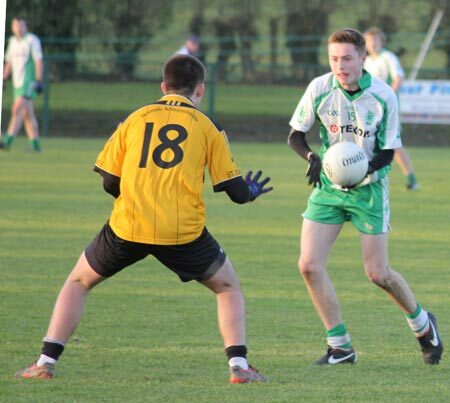 Pauric Patton and Ryan Granaghan finished with two points apiece while Niall Harley finished with a point to add to another impressive outing at centre field with Darren Gethins. 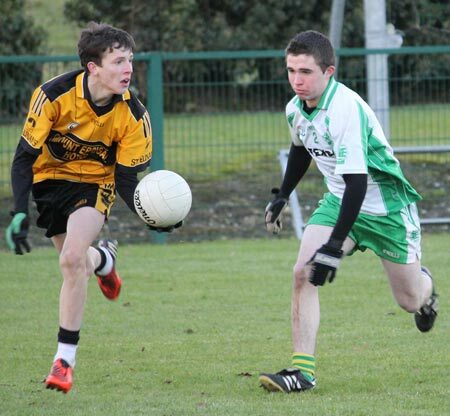 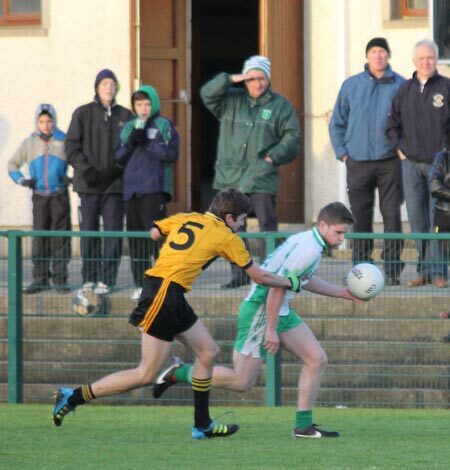 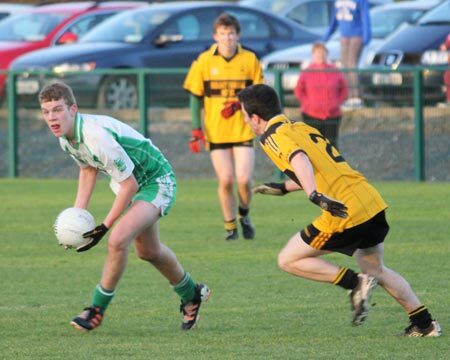 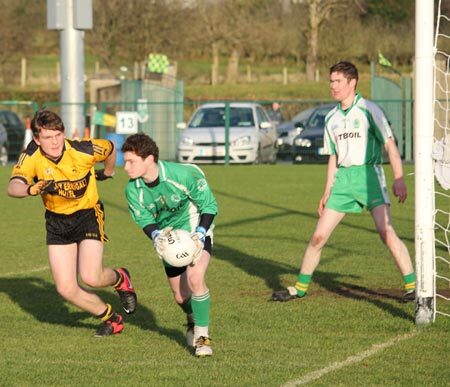 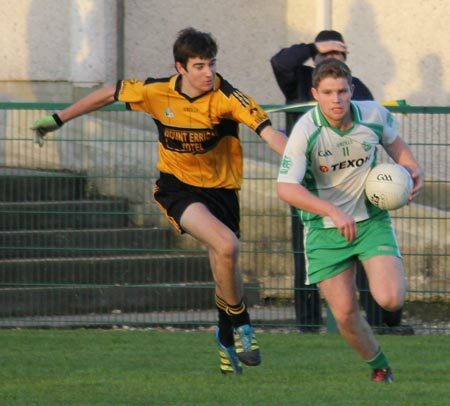 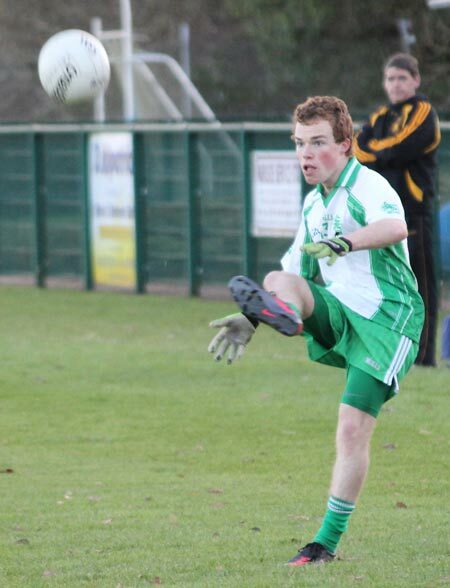 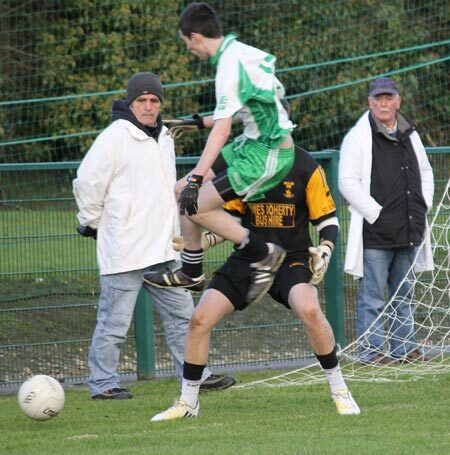 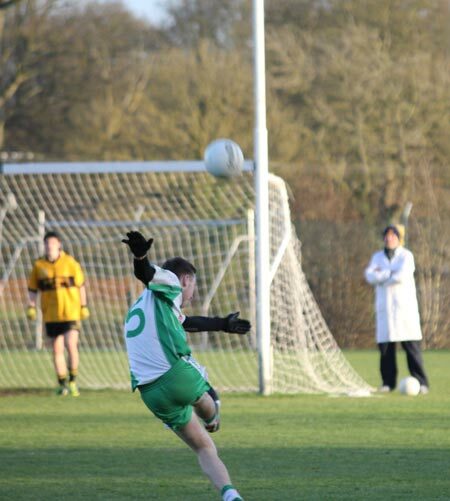 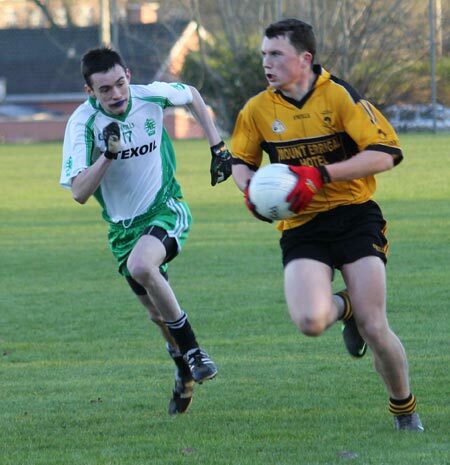 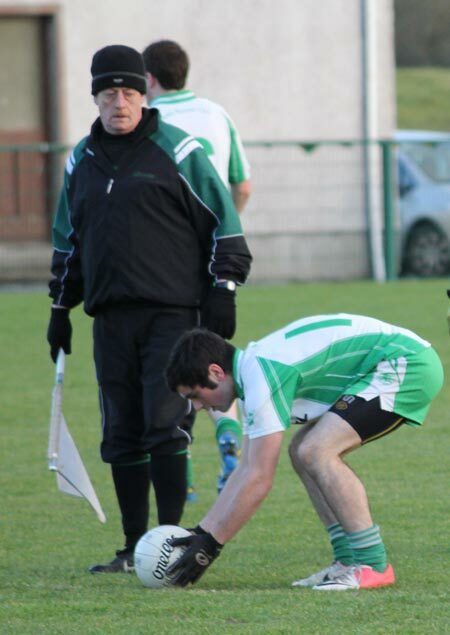 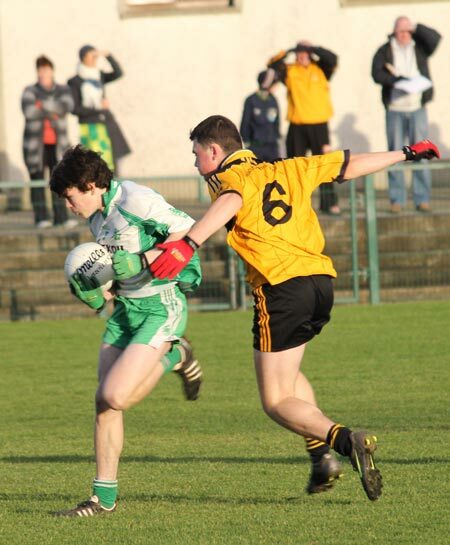 We have pictures from the game up thanks to Cathal Maguire. 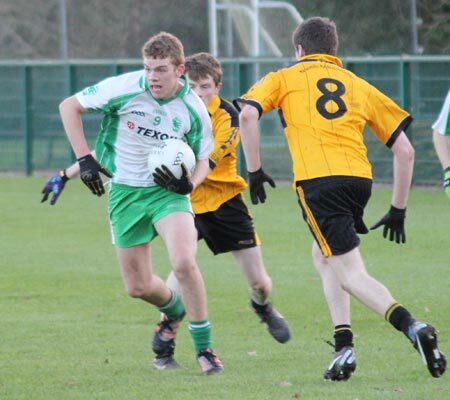 The county final takes place this Saturday, 15th December, in Convoy at 2pm. 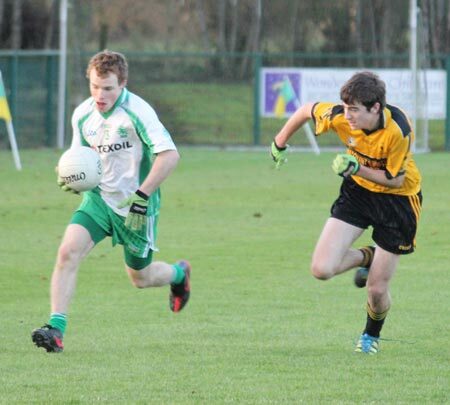 The opposition will be a highly-rated Cloughaneely who accounted for the county champions, Kilcar, in the other league semi-final. 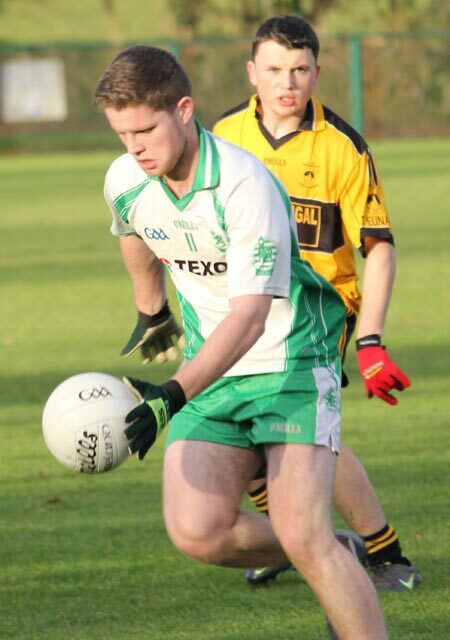 The last minor silverware claimed by Aodh Ruadh was back in 1992 when we won the championship, but our last league title was back in 1986, so a win on Saturday would see us bridging a gap of over a quarter of a century. 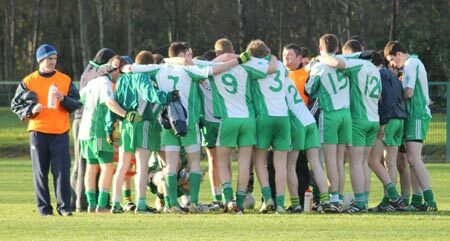 All support would be greatly appreciated down in Convoy for what is a historic opportunity for the club.